Ready for some more fall decor inspiration? 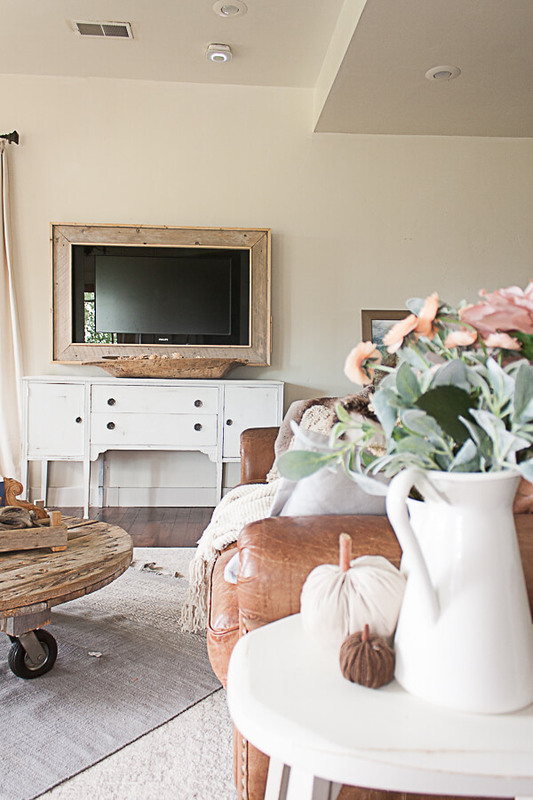 Well, check out the rest of my farmhouse fall home tour! 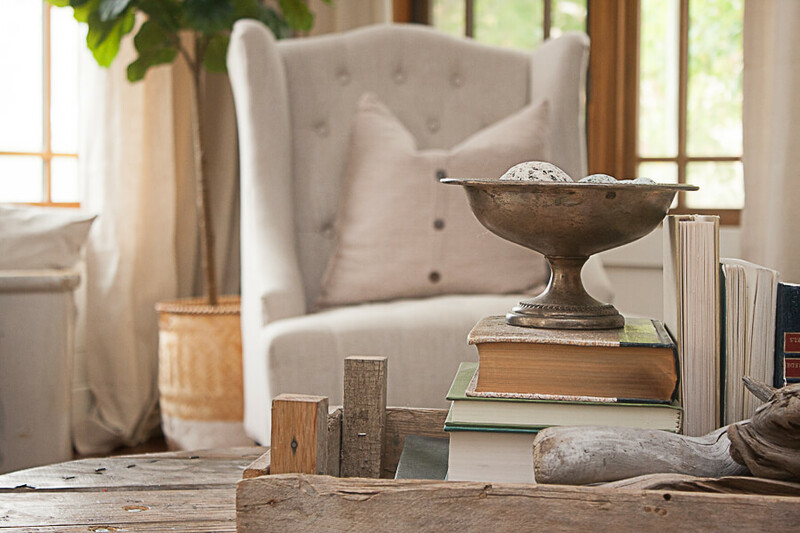 See how easy it is to add farmhouse fall decor to your home without transforming the whole place. Some of these items can be used throughout the year giving it longevity. 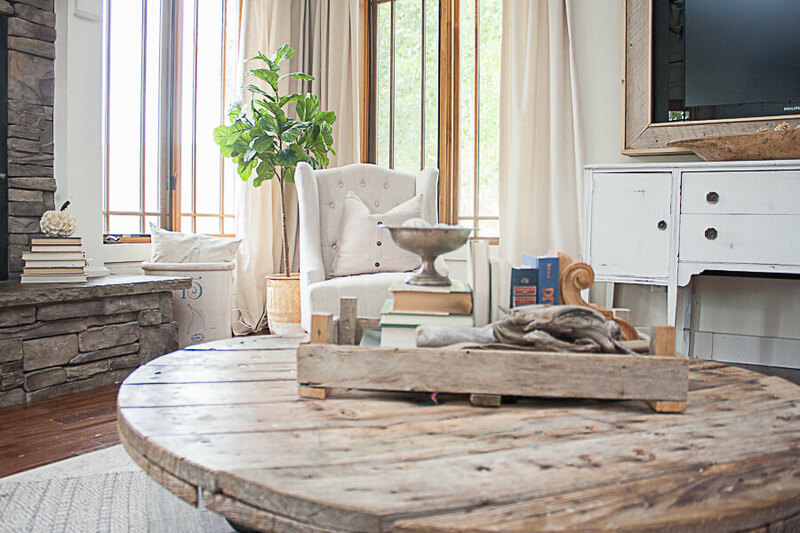 I am excited to share this part of my home as part of a fall home tour blog hop. Come see how I have decorated my home for fall. 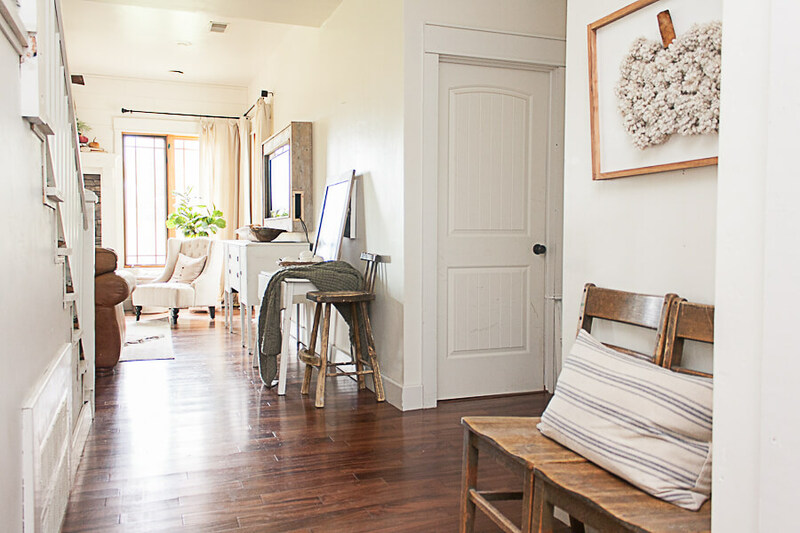 I love collaborating with other bloggers on home tours. I get to see so many beautiful spaces! Over the past few weeks, I have been slowly featuring some of the spaces in my home that are decorated for fall. 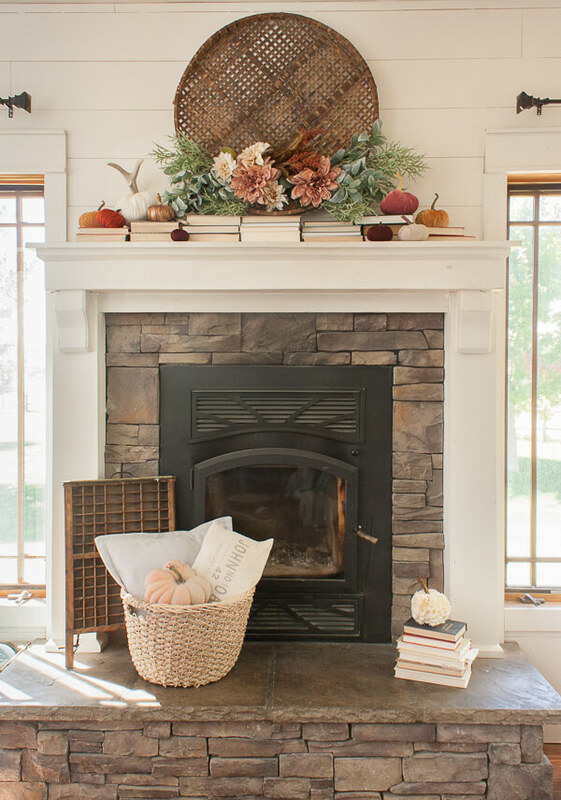 My porch and entryway were the first to be featured this year, and today, I am also featuring my fall mantel, which will be apart of this tour as well. 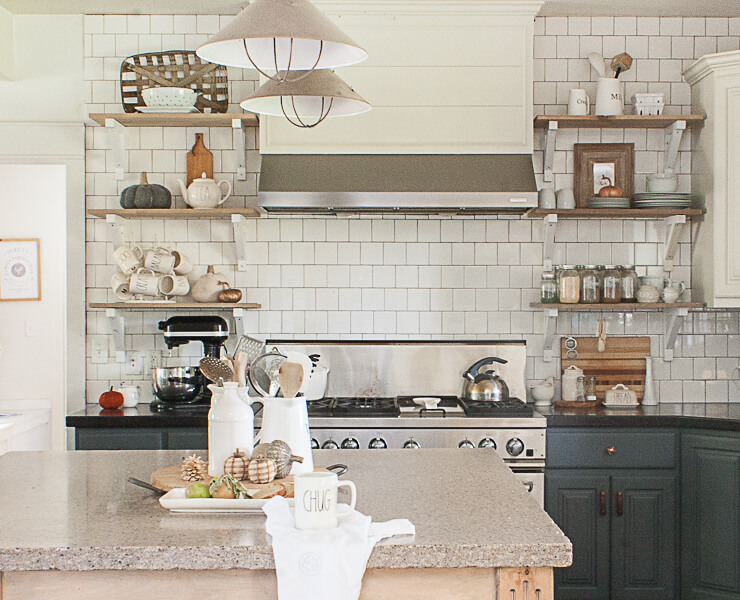 This fall home tour is going to focus on my living room and my kitchen. Welcome, I am so glad you are here! I swear my husband grows more and more tired every day of all my home decor antics. But, I think he will soon give up and just deal with all my crazy decor ideas. I am always redecorating rooms, I find that its so fun. I know some think that its overwhelming, but it is actually a pretty calming thing for me, and I find that decorating is good for my anxiety. This year, I wanted to create a more feminine fall space. Does that even make sense? haha! Well, I do live with 4 boys, and me and my daughter sometimes get sucked into the mans world! So while I try to create an inviting home with touches of fall, I also try to keep it simple. I want things to serve more than one purpose, and having a base of decor items, you can easily change out a few seasonal pieces without much effort. 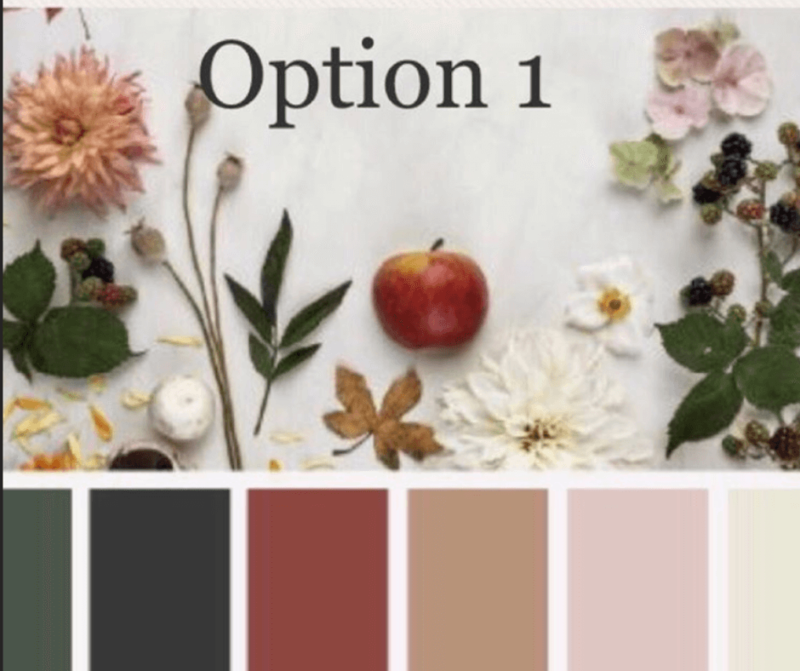 When I first began coming up with ideas for this years fall decor, I wanted to get your opinion, so I posted some color schemes on my Instagram stories, and let you vote on which ones I should use. I was pretty thrilled with the ones you wanted, and I have used that color scheme in my entryway, porch, and now in my living spaces. 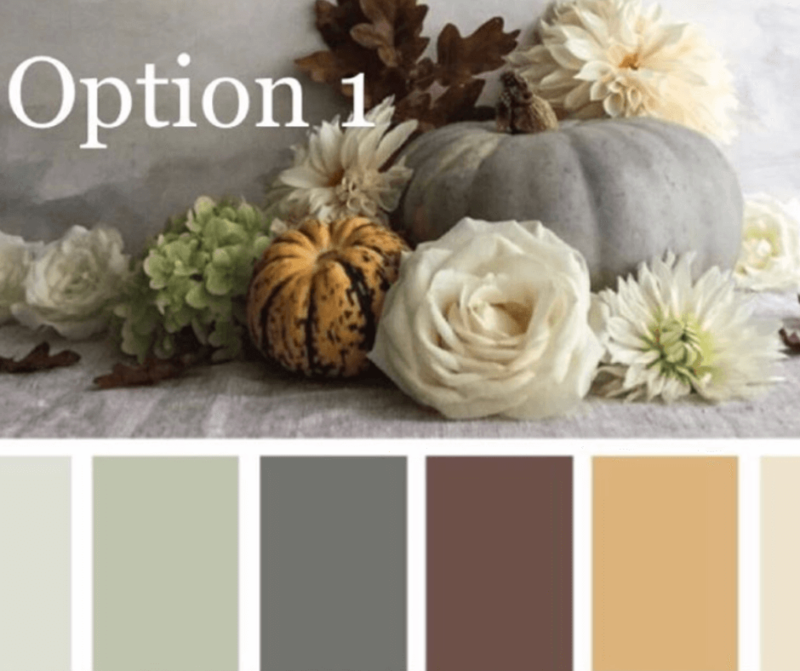 So, lets see how I used these colors in my farmhouse fall decor this year. Lets start in the hallway, where I used this super cute pom pom pumpkin sign made. 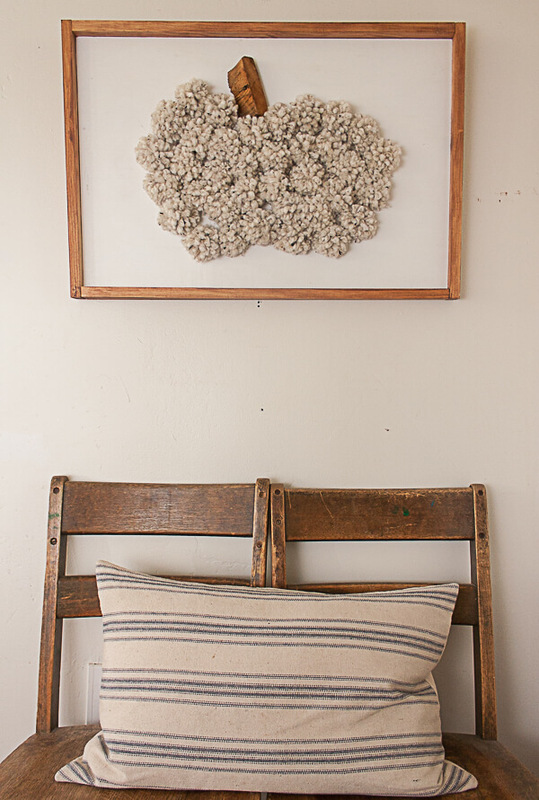 I love this pom pom pumpkin sign, and think its the perfect neutral for this space. With the striped blue farmhouse pillow from my friend at farmhouseonboone.com, its a subtle yet effective way to decorate for fall. Ad you head into my living room, I have set up a desk, with a basket of white pumpkins, a cozy crocheted blanket and great silo painting. All the colors look perfect for fall. I decided to rearrange my living room, placing my sofa in front of the fireplace, where you can sit and admire the fires…well, once they start becoming a regular occurrence once again. We have not had cold enough weather yet to need a fire. You can see my set of vintage fall printables on the wall, I am loving them! You can get yourself a set too if you like! I am selling a set of 9 for one very very low price! You can then print them as many times as you want and in many different sizes! Now, lets move on to the rest of the room…. Here is my mantel and fireplace all set up for fall. I do love that large basket, and the flowers! The colors are exactly what I was looking for. I am obsessed with the soft blush colors with the blues and greens. I have kept the living room simple. Some flowers and a few throw pillows topped off with some pumpkins. You can’t do fall without pumpkins, now can you. Our coffee table is stacked full with driftwood from our families vacations. We gather driftwood anywhere we can, and it has become a fun tradition. Here are just some of our spoils. Once again texture is king here. I love anything with a strong texture. It just does it for me. 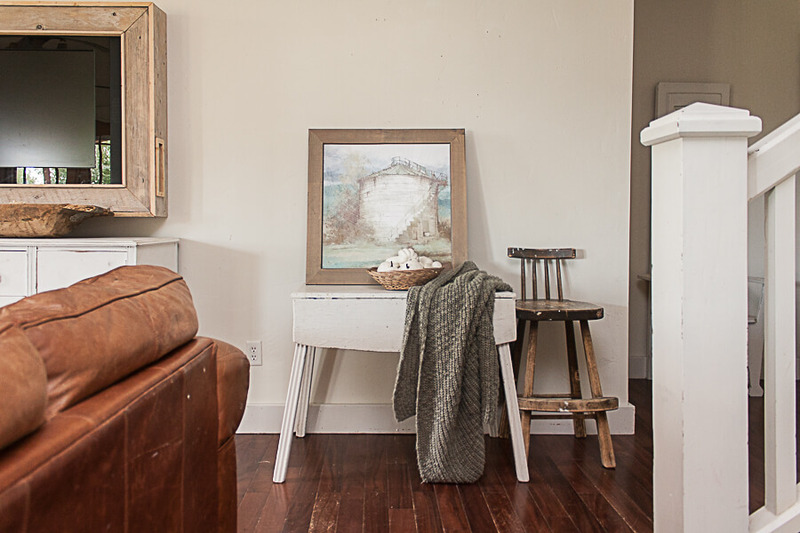 And last, lets see that kitchen, its got some farmhouse fall decor as well…. I keep my fall decor in the kitchen to a minimum. 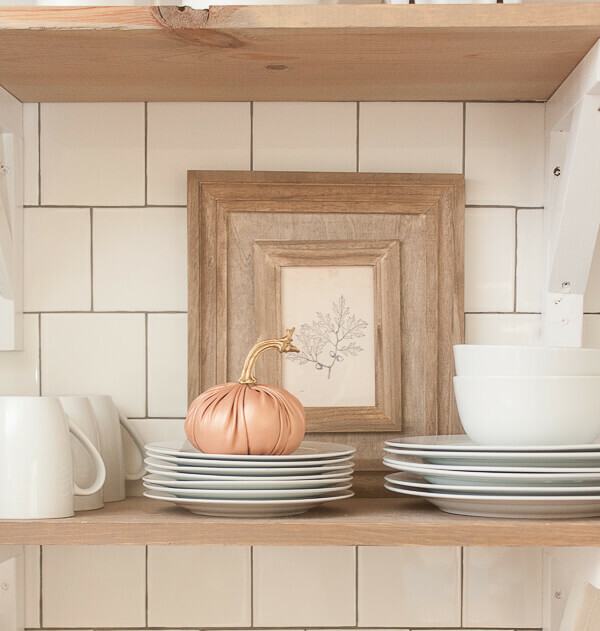 A few pumpkins on the shelves, and a few fall accessories on the island. These copper pumpkins. I cannot get enough. They are so dreamy and I wish I had 100 of them. They go great with another one of my vintage fall printables. Make sure you check them out for sure! And that my dears is the end of my fall home tour! But don’t be sad, I am going to be gearing up for a Halloween home tour as well! As if I don’t have enough on my plate, why not! And did I mention that I am going to be going to Waco, Texas next weekend and guess where I”ll be spending some time???? You know I am going to Magnolia Market! 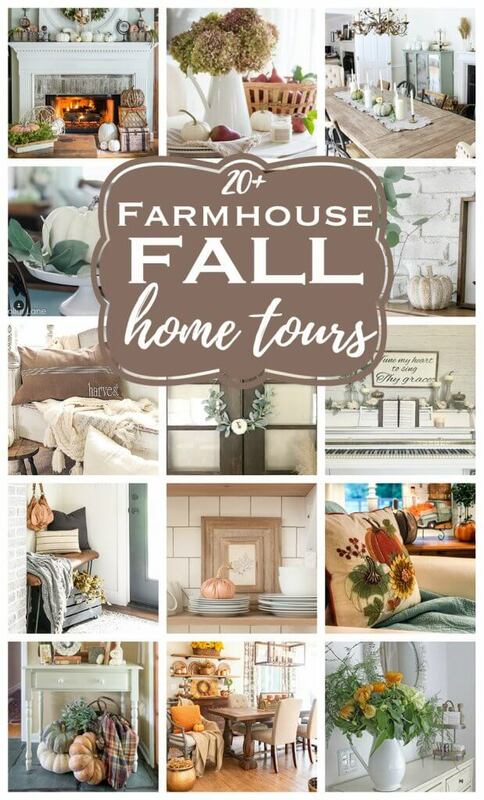 Now make sure you check out the rest of the farmhouse home tours below! 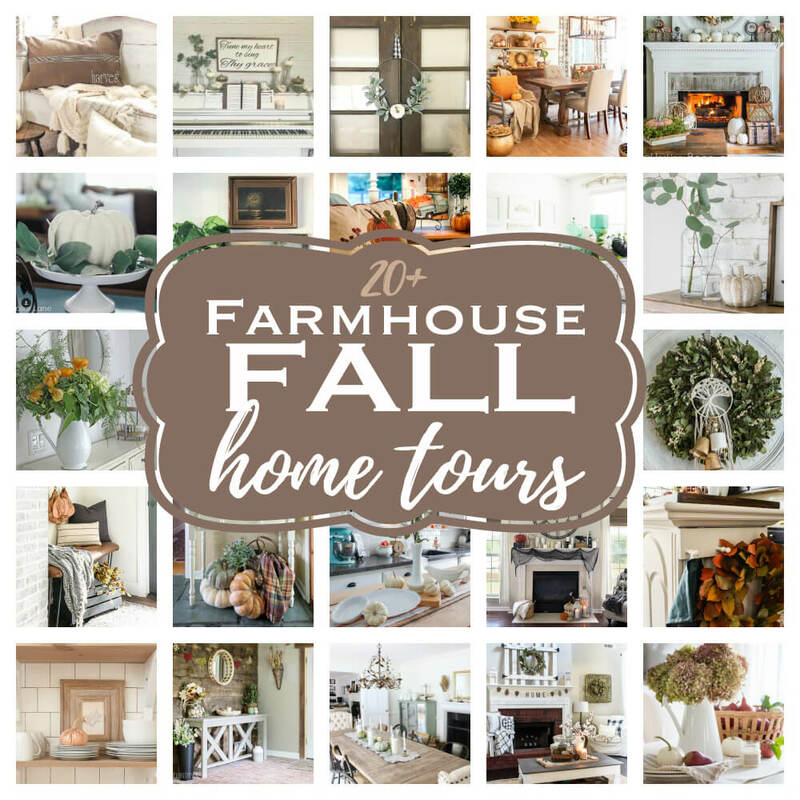 Make sure to visit more fall home tours and get some inspiration for your home! Your feminine fall decor is so warm and cozy. Love your mantel and all those pumpkins! 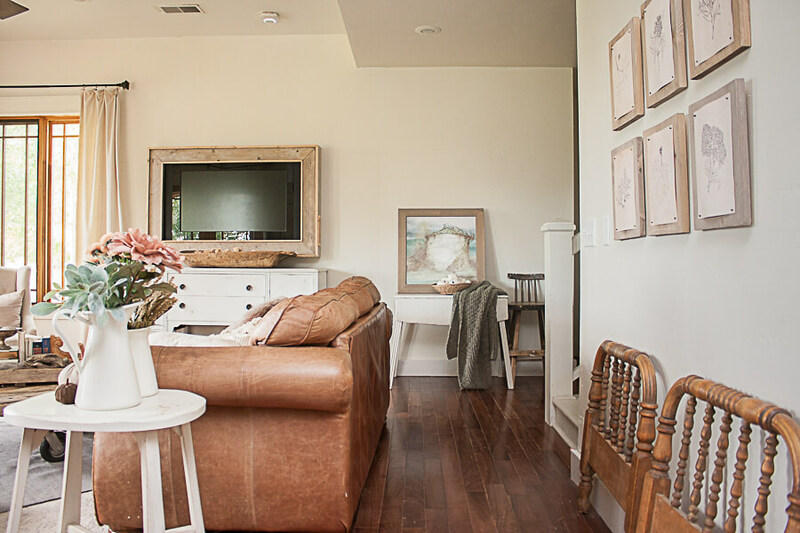 I love love love your home and farmhouse style! It looks beautiful decorated for fall. You’ve just got such a lovely home Sara and everything looks so warm and cozy all decorated for Fall! Your mantel is absolutely gorgeous!!! Such a beautiful home, Sara! And I LOVE that pom pumpkin picture – so cute! I love your mantle so much! The colors are stunning! Glad to be touring with you! Your fall tour is stunning. That pompon pumpkin sign is the best! Your home looks so perfectly cozy for Fall! I love the books on the mantle! Have fun at Magnolia, can’t wait to hear about it! What a seriously stunning tour! Love every nook and cranny. Enjoy Magnolia! And eat a chocolate chip cookie – yum! Goodness, Sara! Your home is looking so lovely dressed for Fall! I love the colors you chose to work with. You have a beautiful home and love all your Fall decor. The colors are so pretty. I guess i never noticed your lovely windows in your LR. The mantle was so pretty,you do have talent, or at least i think you do.